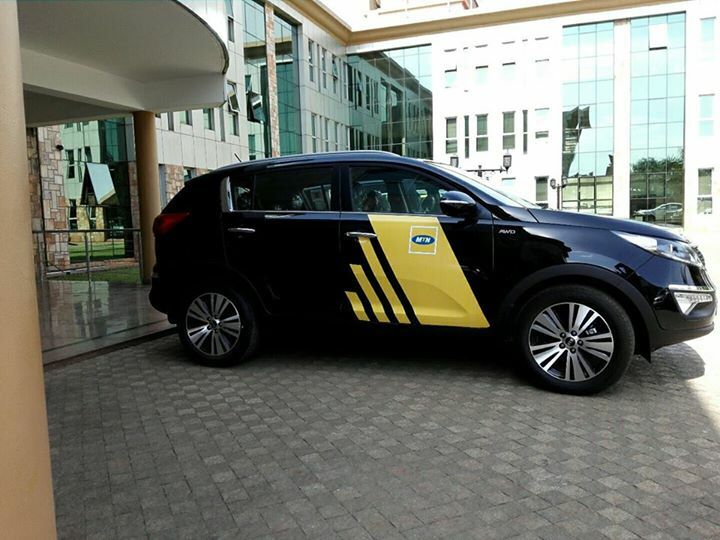 Today one lucky MTN subscriber will win one of the three brand new ‘KIA Sportage’ cars in the on-going data campaign. MTN Uganda recently launched a new exciting promotion where subscribers can buy a new Avvio 3G smart phone and stand a chance to win one of the three cars. The promotion, which started a month ago, is intended to ignite some excitement into the telecom market while encouraging the usage of data, more especially on the 3G network. Data is one of MTN Uganda’s key themes for 2015 and to bring this to life the leading telecom giant has continuously invested in a robust 3G and 4G network. According to Mapula Bodibe, the company’s Chief Marketing Officer despite the fact that data usage has grown; there is still a big potential in the Ugandan market. In Uganda and Africa at large the biggest barrier to entry has largely been lack of affordable 3G smartphones. There is need for more 3G devices in the market so as to allow for higher data consumption coming from better customer experience. This grows a more developed information society and even improve customer experience in Uganda. “MTN Uganda is currently the leading network for smart phones and this new exciting campaign underpins this claim. As we tend to the festive season, we want to give back to you our subscribers by offering affordable high quality smartphones to improve your experience.” she said. “Smartphone entry devices now contribute 64 percent to total sales in theUgandan market and this is highly attributed to the aggressive sale of affordable smartphones like the Avvio. We have the widest, most stable network and can serve you better with any smartphone,” she added. The phones being promoted which include the ‘Avvio 793’and the ‘Avvio 781’give users an upgraded data experience. Theyouth,who use data in a more exciting manner can upgrade from the 2G experience to 3G. Moses Musiime the MTN Uganda’s Consumer Segment Manager said entering the promo has been designed to be very simple. “Basically every phone bought is an entry opportunity for the customer to win. Once the phone is bought from any of the MTN outlets, the user has to enter the draw by subscribing to MTN ‘HollaZone’ package by simply dialing *157*5#,” he said. “After every 20 days, a draw using the data collected from the campaign launch date will be run. There are 3 cars to be won, so every 20 day we shall announce a winner.The draw will be system generated and overseen by an AVIO partner and an MTN official,” he added.